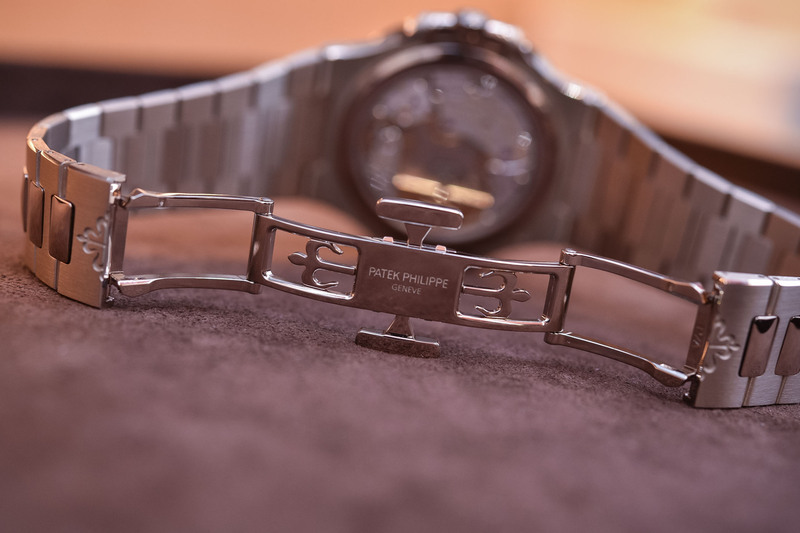 Patek's iconic luxury sports watch in its most complex form ever! When Baselworld 2018 opened its doors, this new watch came as a surprise. 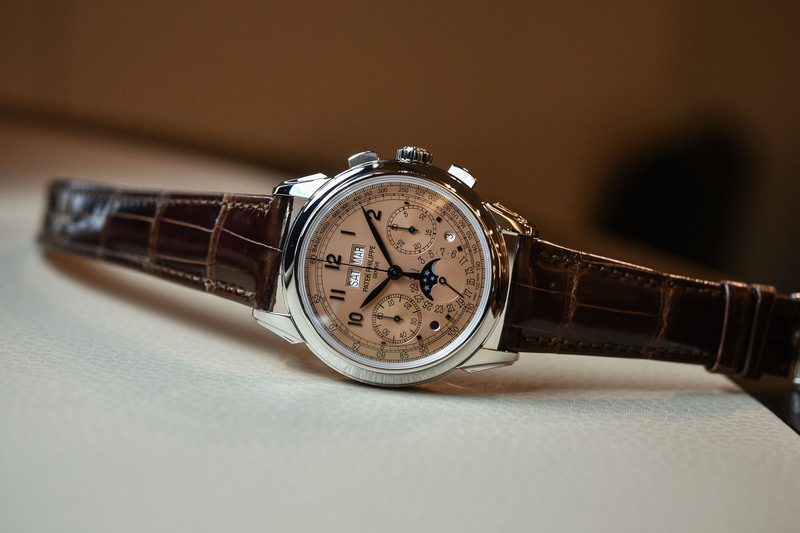 We could have expected this grand complication to coincide with the 40th anniversary of this iconic model – which took place two years ago, with the presentation of the Platinum 3-hand 5711/1P and the White Gold Chronograph 5976/1G. 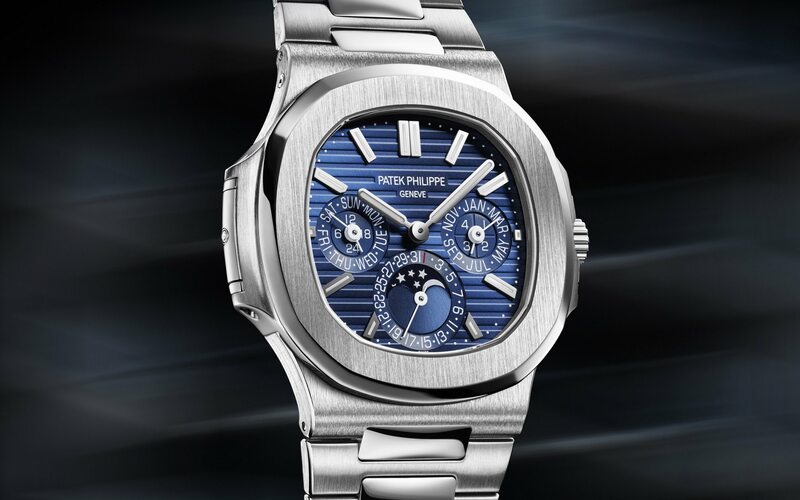 Instead, Patek decided to wait two more years to introduce the first grand complication in the Nautilus collection. After the chronograph, the annual calendar or the travel time, here is the Patek Philippe Nautilus Perpetual Calendar 5740G. In our books, here at MONOCHROME, the true essence of the Nautilus is a time-only watch, with a predominant focus on the style, the design, and its unique combination of refined luxury and sportiness. 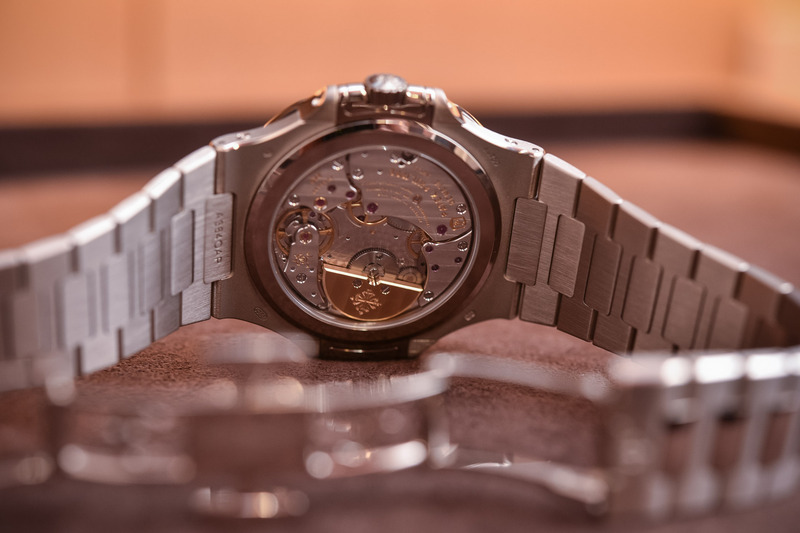 The Nautilus was born with two hands and a date (with the Ref. 3700, designed in 1976 by the late Gerald Genta) and still, the most coveted model in the collection is its direct descendant, the 3-hander Ref. 5711. Thus, the presence of other complications beyond the date is questionable. 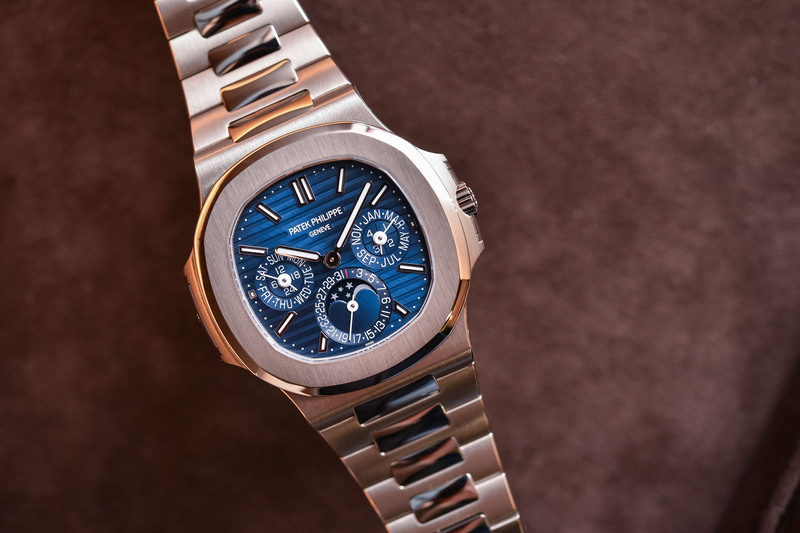 However, this never prevented Patek adding something more to the mix. 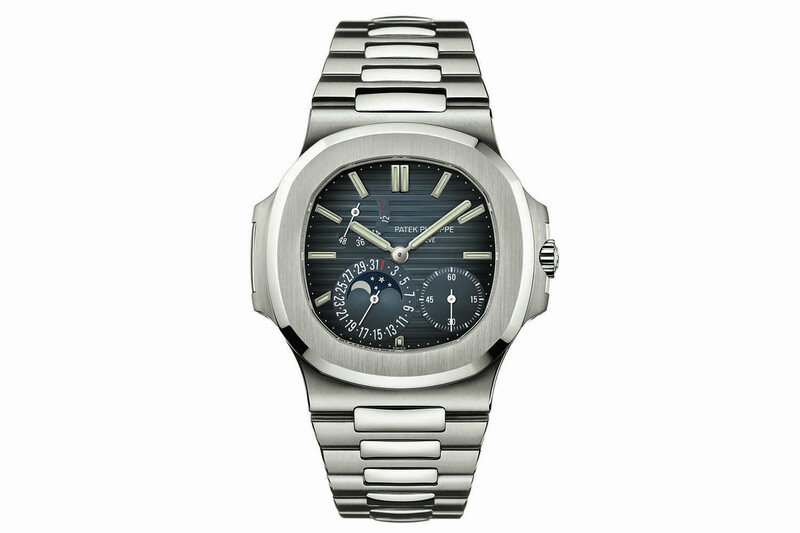 An example of the Patek Philippe Nautilus 3710A, the first model with an additional complication. The first model featured with something more than two or three hands and a date window was Ref. 3710, introduced in 1998. This model featured H/M/S, date and a surprising additional hand positioned at 11:30, the winding zone indicator (IZR for Indication de Zone de Remontage). Yet, the watch that truly marks the arrival of complications to the Nautilus case is Ref. 3712. 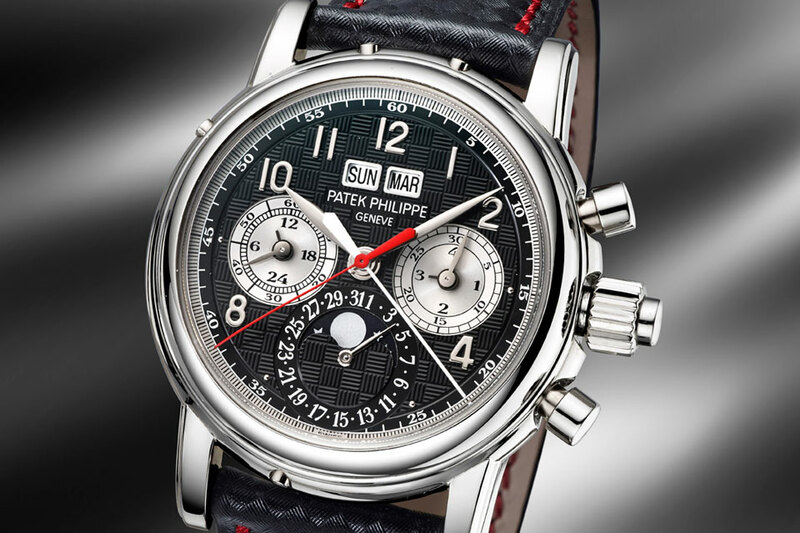 This watch, with an inexplicable charm (the display is admittedly one of the most unbalanced you can imagine), features small seconds, date/moon phase indications and a power reserve indicator. The Patek Philippe Nautilus 5712, a perfect example of a complex Nautilus. In 2006, when the collection was entirely revamped for the 30th anniversary of the model, we witnessed the rise of complicated movements. While the time-and-date version (now Ref. 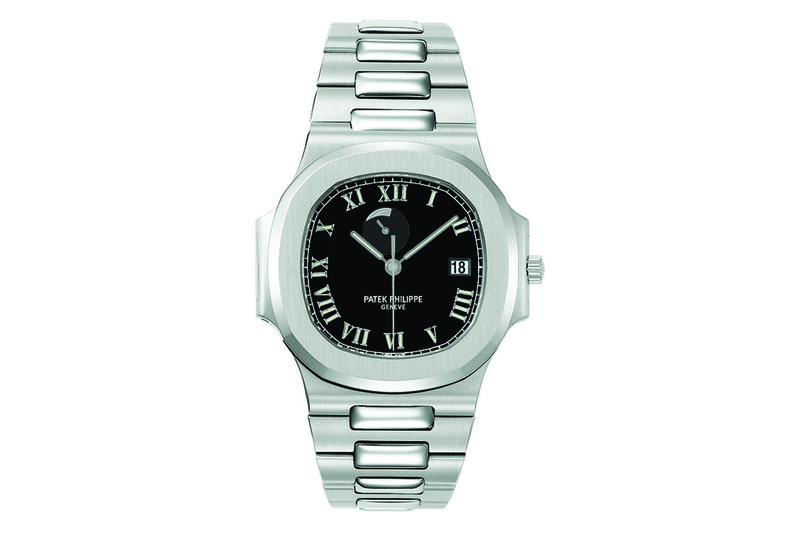 5711) remained the star of the show, Patek continued with the 5712, as well as a new model with an automatic chronograph, the 5980. In 2010, Patek added its signature Annual Calendar complication (patented in 1996) to the Nautilus paving the way to more classical complications. 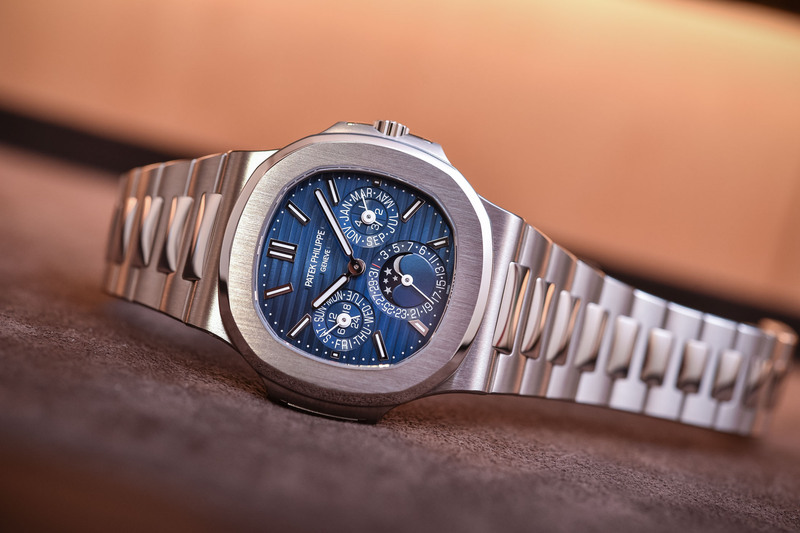 Today, the Geneva-based brand goes one step further with the first grand complication introduced in the Nautilus collection (editor’s note: the 5740G is a grand complication according to Patek’s nomenclature, but not in strict watchmaking terms, as a grand complication is traditionally understood as the combination of chiming, chronograph and calendar functions). First and foremost, while the Patek Philippe Nautilus 5740G might feature a perpetual calendar it remains a Nautilus through and through. No question about this. Yes, we can debate the need for such a complication in a luxury sports watch. Yes, it feels quite strange to have such a traditional display in a watch that was designed to be truly avant-garde. But, on many levels, the Nautilus 5740G stays true to the original concept designed by Genta in 1976. As mentioned, it is the first time that Patek Philippe gets this traditional and classic in terms of mechanics for the Nautilus. 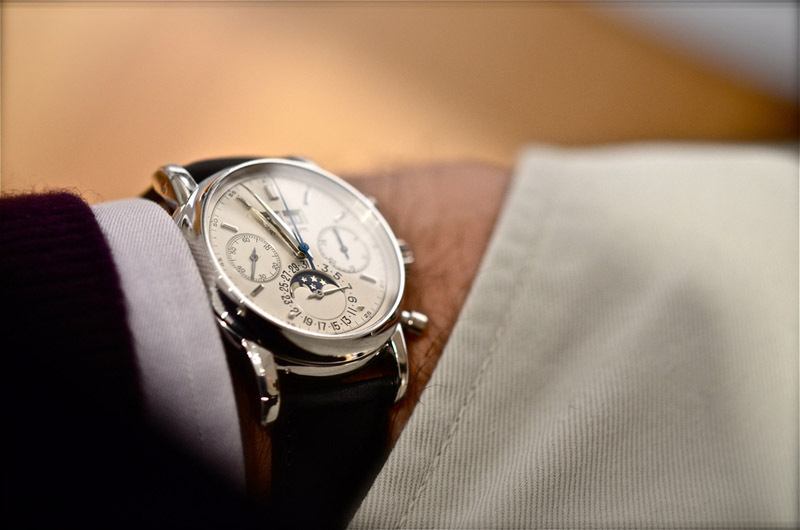 The chronograph is understandable, as we’re talking sports watches, the annual calendar has the benefits of its modernity, but the QP is part of the highly traditional “holy grail” complications, together with the split-seconds chronograph, the tourbillon or the minute repeater (and we sincerely believe we won’t be seeing these last two in the Nautilus case soon). So… Does a perpetual calendar makes sense in a Nautilus? Objectively, no. And at the same time, the end result works just fine as this new complication doesn’t degrade or interfere with the original concept. 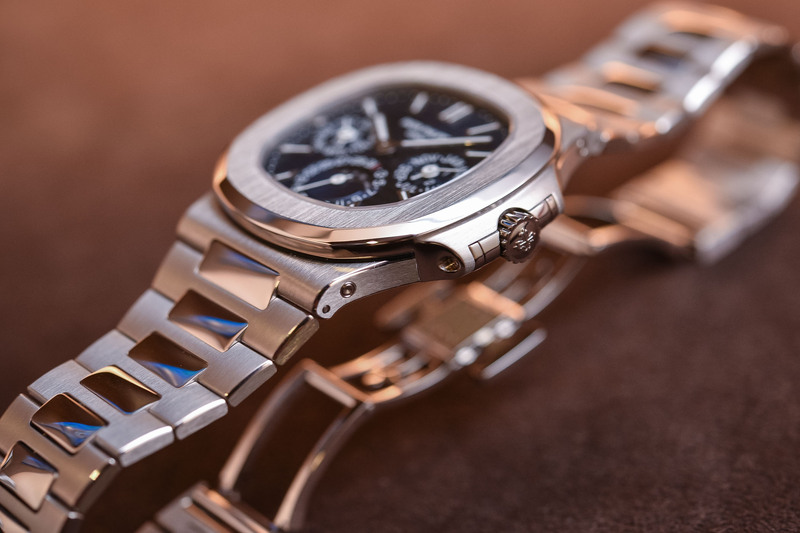 The basic idea behind the Nautilus was to combine a modern, casual and sportier appeal to the traditional refined, slim attire of a true Patek Philippe. 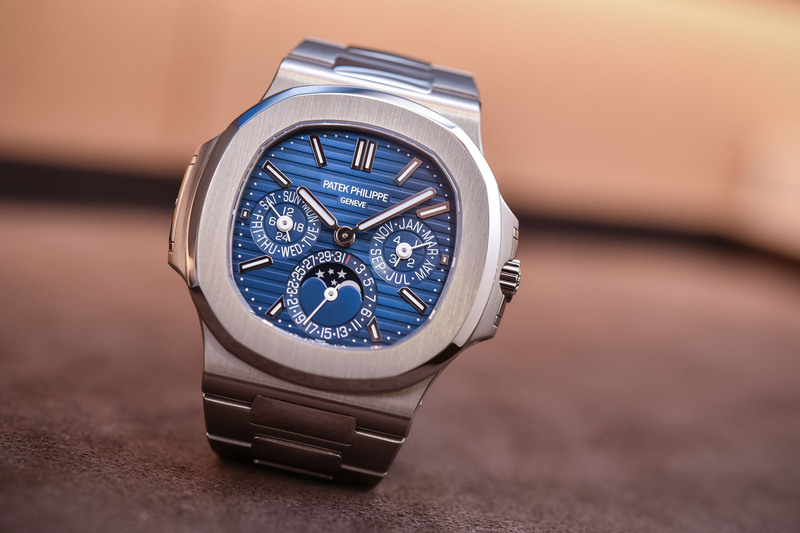 In this perspective, the new Patek Philippe Nautilus Perpetual Calendar 5740G respects the codes. The case is identical to a time-and-date Ref. 5711, both in terms of shape, execution and (most importantly) of proportions. 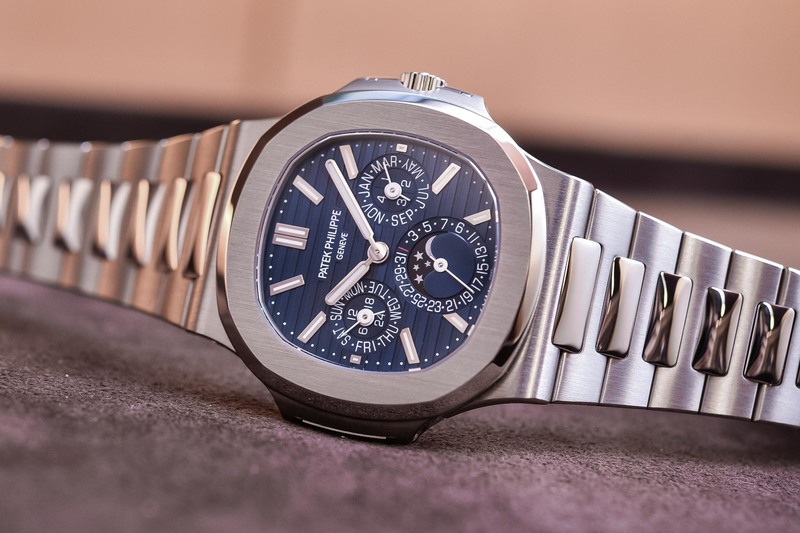 While Patek showed that it could be overly generous with the 44mm chronograph 5976/1G made for the 40th anniversary, the QP 5740G stays true to the 40mm diameter (from 10 to 4 o’clock). Also, the case is barely thicker than the two iconic steel models, with an 8.42mm thickness versus 8.30mm for the 5711A and 8.52mm for the 5712A. In short, the QP module added to calibre 240 is simply not visible case-wise. The rest of the watch is pure Nautilus. Even though this Nautilus Perpetual Calendar 5740G is made of 18k white gold (meaning that it’s rather heavy, to say the least), we find the hallmark rounded ears on each side of the dial, the combination of brushed and polished surfaces, the integrated bracelet with polished central links and the iconic octagonal bezel – shaped like a porthole. Nautilus, all the way. Being slightly more delicate, the case is water-resistant to 60m, even though it features a screw-down crown – just like the 5712. No need to mention that the quality of the execution of both the case and the bracelet is unquestionable, but no one would have expected differently. Note that the 5740G inaugurates a new fold-over clasp, with security push buttons and a new design. As for the dial, we were somewhat sceptical when we first saw the official images – you can see them here. Some of them looked like the dial was light blue in colour. The result is much more appealing in the flesh. The dial of the Nautilus Perpetual Calendar 5740G is indeed lighter then the one found on the 5711 for instance, and much more blue. Yet, it is also quite attractive. First, it shows the iconic grooved pattern as well as the signature hands and markers of the collection. Then, with the 3-6-9 layout, this watch feels balanced and surprisingly not too busy. The integration of the QP display is accomplished. Regarding the colour, this dial has an impressively metallic feel and can go from light metallic blue to dark navy, depending on the ambient light and the angle. It is much more playful than the press images show. In certain light conditions, the dial of the 5740G can appear almost metallic. Display-wise, no surprises. We find Patek’s signature perpetual calendar module, with a traditional layout – the QP module is the same as the 5940 or the 5140. 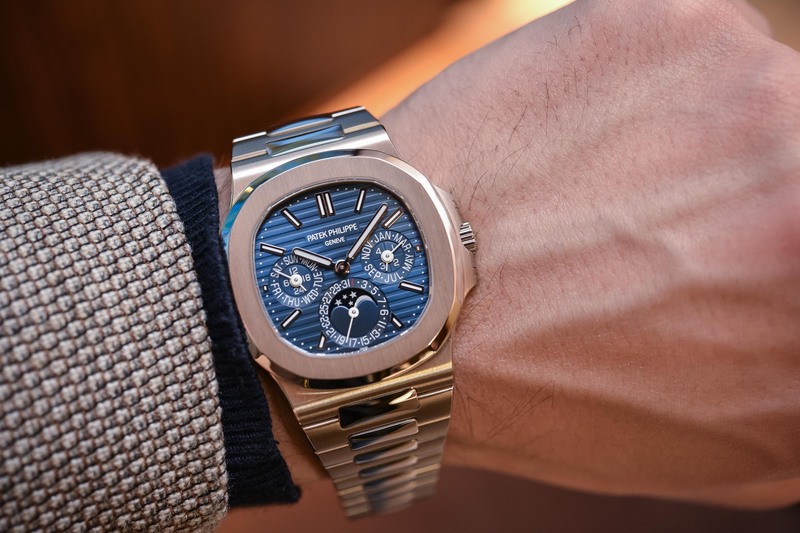 Powering the Nautilus Perpetual Calendar 5740G is calibre 240 Q, an ultra-thin movement created back in the 1970s that is still a cornerstone in Patek’s collections. 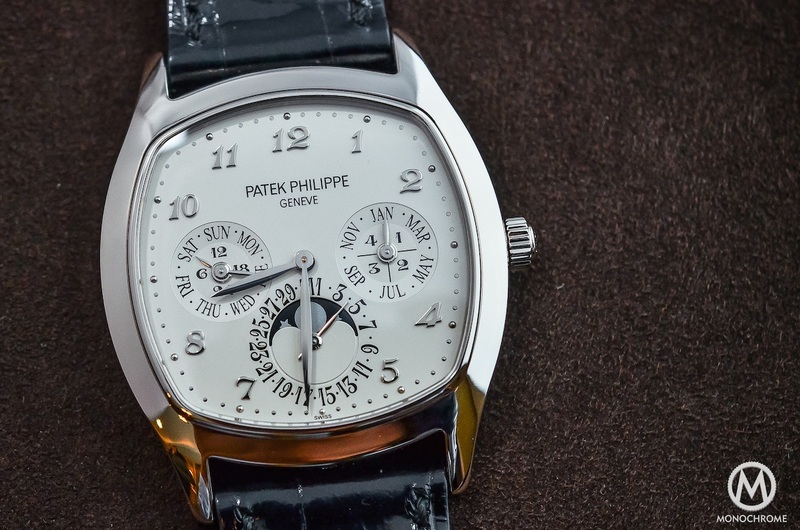 Pleasantly shaped, very flat thanks to its micro-rotor, it is lavishly decorated and certified by the Patek Philippe Seal – for both its execution and its precision. Even if it is pushing forty plus, it has been upgraded with several modern features such as the Gyromax balance and the Spiromax balance spring. As always with this movement, there are one or two flaws: the correction of all the indications is done via recessed push buttons in the case bands and the power reserve (min. 38 hours- max. 48 hours) is rather short compared to modern standards. 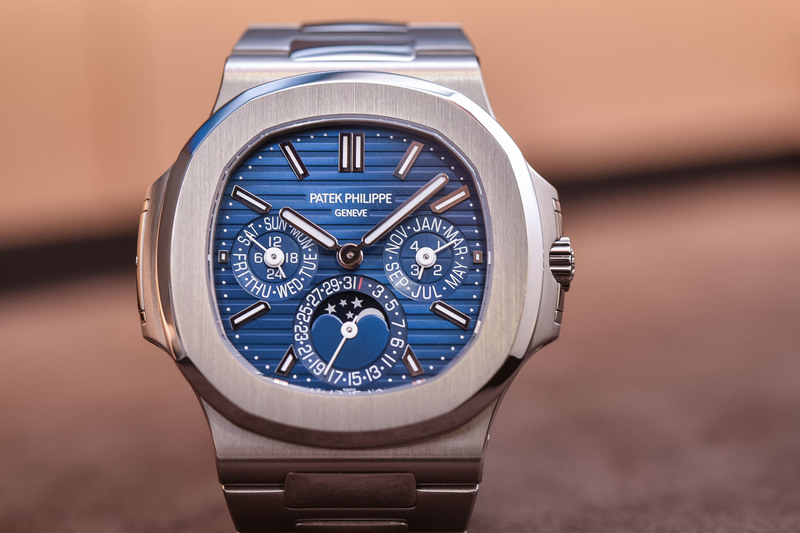 So what to make of the Patek Philippe Nautilus Perpetual Calendar 5740G? There’s no doubt about the quality of the execution. This watch is a demonstration of Patek Philippe’s savoir-faire: thin, bold, perfectly finished, balanced, complex and in the end, desirable. Of course, it isn’t perfect (power reserve and multiple correctors). The question is more about the relevance of a QP in a Nautilus. 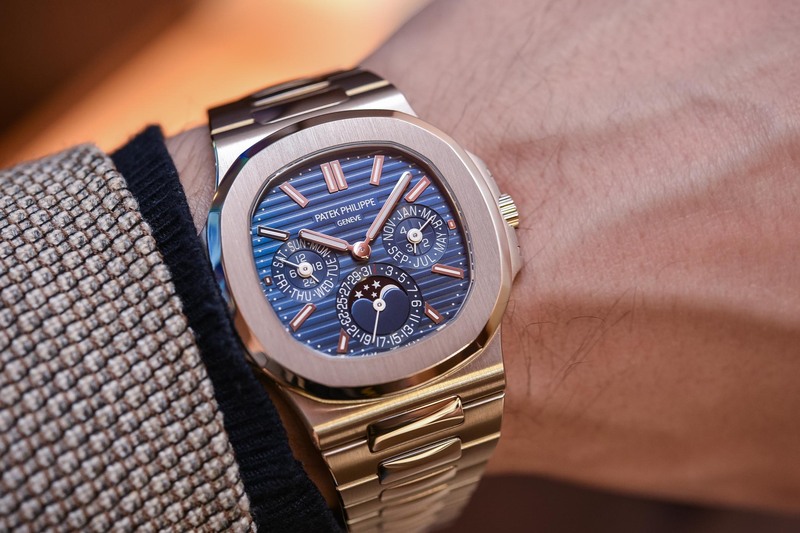 Even if our hearts will always have a preference for the original 5711 (or the 3700), the perpetual calendar doesn’t feel inappropriate in the Nautilus context and Patek offers a new flagship to its iconic collection that is harmonious, rare and ultra-luxurious – without being ostentatious. The Nautilus Perpetual Calendar 5740G is an expensive watch and retails for CHF 105,000 or EUR 108,020. There’s a lot of gold, that’s for sure. Yet, we’re talking high-end, Haute Horlogerie prices here, which won’t be too much of a problem for collectors trying to pin down one of these elusive models. More details on patek.com. I used to think this is a big “Nahh” – a sports watch with a Grand Comp. Now, when I think about it – that just might be one of the coolest High Complication new pieces out there… just brilliant work by PP. You know Brice de Nice?